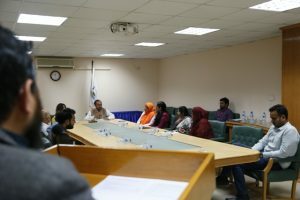 The Department of Media Studies of Bahria University Karachi Campus (BUKC) and the Pakistan Institute of Living and Learning (PILL) have inked a Memorandum of Understanding (MOU) on 29 March 2019. Director BUKC Commodore (R) Muzammil Hussain SI (M), SE and Dr. Nasim Chaudhry CEO of PILL signed the MOU on behalf of their organizations. The objective of this MOU is to benefit from synergy and to be a fruitful platform for new initiatives. 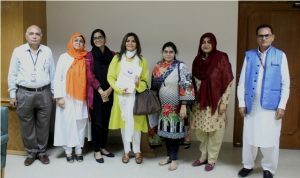 BU will provide technical consultancy services to PILL for launching its publications, making video productions of various projects and facilitate in building campaign/marketing strategies with the basic aim to strengthen academic exchange in media, health and research activities.